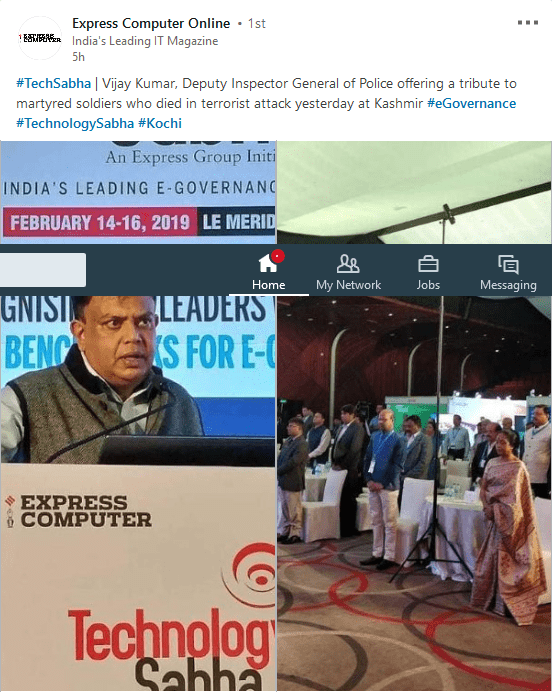 The Day 2 of the Technology Sabha began with the attendees observing silence to pay homage to the martyred soldiers of the Central Reserve Police Force (CRPF) in Awantipora town of Pulwama district. Two panel discussions were also organised. Panel Discussion on ‘Technology for transforming government and public sector’ attended by Pankaj Dikshit, Senior Vice President (IT), GSTN – Goods and Services Tax Network, Government of India; Golok Kumar Simli, Chief of Technology, Passport Seva, Ministry of External Affairs; Vikrant Sethi, Country Leader, Presales – India, HPE; Sourabh Gupta, SIO, NIC, Uttar Pradesh. 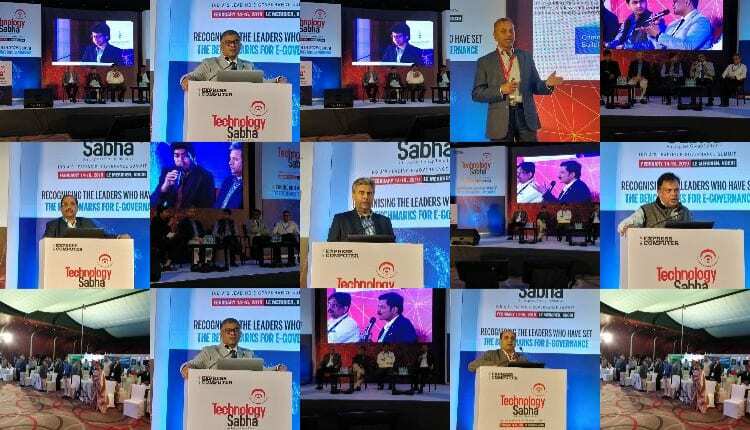 The second panel discussion was on ‘Technology for transforming government and public sector’. The participants include Maj Gen Sandeep Sharma, Addl Director General, Centre for Communication Technology, Government of India N. Bala Subramanyam, CEO, e-Pragati Authority, Government of Andhra Pradesh Sarvesh Singhal, Special Secretary, IAS, CEO, JAP-IT & Director, Department of Information Technology and eGovernance Dr Rakesh Varma, Special Secretary, IT & Electronics, Government of Uttar Pradesh. Panel Discussion on ‘Technology for transforming government and public sector’ attended by Pankaj Dikshit, Senior Vice President (IT), GSTN – Goods and Services Tax Network, Government of India; Golok Kumar Simli, Chief of Technology, Passport Seva, Ministry of External Affairs; Vikrant Sethi, Country Leader, Presales – India, HPE; Sourabh Gupta, SIO, NIC, Uttar Pradesh. Panel Discussion on ‘Technology for transforming government and public sector’. The participants include Maj Gen Sandeep Sharma, Addl Director General, Centre for Communication Technology, Government of India N. Bala Subramanyam, CEO, e-Pragati Authority, Government of Andhra Pradesh Sarvesh Singhal, Special Secretary, IAS, CEO, JAP-IT & Director, Department of Information Technology and eGovernance Dr Rakesh Varma, Special Secretary, IT & Electronics, Government of Uttar Pradesh. The second leg of the Express eGovernance awards will be organised in the evening, so watch this space.